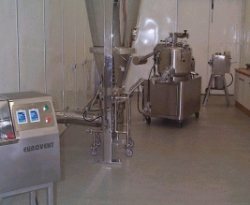 Eurovents products are manufactured within the UK factory based in Stoke on Trent and includes a Technology and Trial Centre which is equipped with all the latest Eurovent Drying, Granulation and Spray Coating Systems with size ranges from 1  25 litres. All manufacture is carried out to the latest recommendations associated with current GMPs, operator safety and validation protocols. Together with the introduction of new machines and turnkey projects, Eurovent has now established itself as a major supplier of pharmaceutical, chemical and food processing equipment throughout the world. 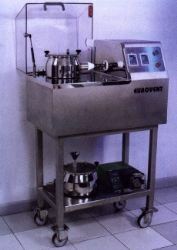 The Eurovent Laboratory Mixer Granulator has been specifically designed to have the same technical configuration and characteristics as the larger pilot and production scale granulator processors. It is a stand alone unit with all motors and controls housed within the base. The Eurovent Pharma Processor high-speed mixer granulator is available with interchangeable product bowls in sizes of 1, 2, 4 and 6 litre capacities. The Pharma Processor has been developed to use repeatable pharmaceutical formulations. 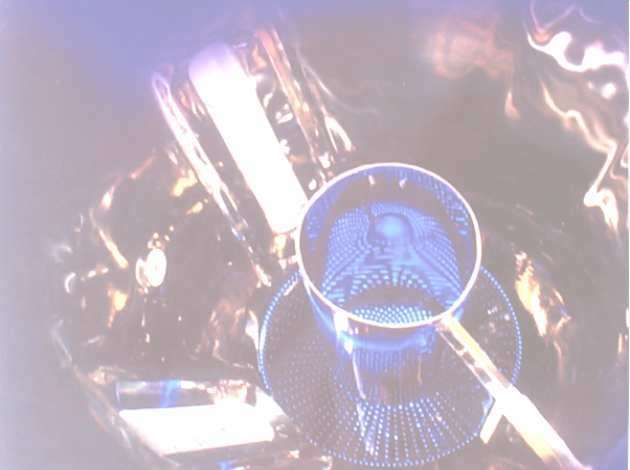 The processor intersperses and dry mixes a wide range of formulations that require granulating, with a variety of binding solutions. As with the Laboratory Mixer Granulator, the laboratory size Fluid Bed Dryer has been designed to have the same configuration and characteristics as the larger pilot and production scale units. Available in 4 and 6 litre capacities, it is a stand alone unit with all motors and controls housed within the base.